Direct from a sold-out run in London, Cillian Murphy stars in a new production adapted from the novel by Max Porter, directed by Enda Walsh. Please note: guests who purchase two Rush tickets may not be seated together. This new production, adapted from the award-winning novel by Max Porter, reunites director/adaptor Enda Walsh with actor Cillian Murphy, who gives a shattering performance as the bereaved widower. Every performance day, on a first-come, first-served basis, a limited number of $20 mobile Rush tickets will be made available to "Grief is the Thing with Feathers." Unlock this feature below to gain access to exclusive tickets. St. Ann's asks that you help spread the word by sharing a post on social media. Please note: guests who purchase two Rush tickets may not be seated together. Also, there will be no Rush tickets offered on 4/20, 4/21 or 4/27. Company may offer programs whereby the Company would make available certain features of the Services when you share information about the Services through an SNS or click on the “Unlock without sharing” button in the Application. 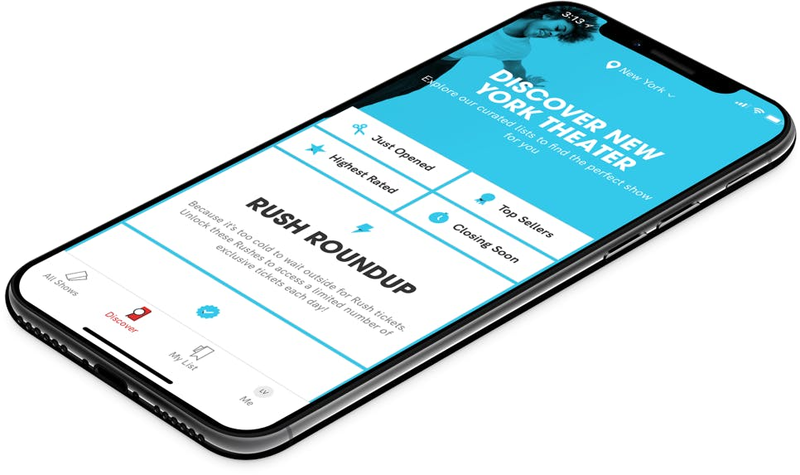 When you are considering purchasing a ticket for a specific show or after you purchase a ticket, if you select the “Share” button in the Application, Company will make available to you a personalized link to a Digital Property with text stating, for example, “Check out Grief is the Thing with Feathers on TodayTix! I’m thinking of going…” or something similar, which you may choose to share with your friends via SNS. Once you have shared the personalized link through an SNS using the Application or selected the “Unlock without sharing” button in the Application, Company will make available to you the RUSH feature, which will provide you with otherwise unavailable offers for tickets to live events occurring in the next week. The opportunity to take advantage of these offers is only available to users who share a personalized link to an SNS through the Application or select the “Unlock without sharing” button in the Application.